The Building Societies Association is the voice of the UK's building societies. We provide our members with information to help them run their businesses, and we represent their interests to a wide range of audiences including regulators, the government, parliament (EU and UK), the media, other opinion formers and the general public. We represent mutual lenders and deposit takers in the UK including all UK building societies. This section provides head office contact details for each of our members. Our Associates include mutual insurance companies, a savings bank, representatives of the co-operative sector, audit and accounting firms, firms of solicitors, and suppliers of various business services to BSA members. Do you need modern, professional and flexible meeting facilities in the centre of London? Our contemporary meeting rooms are suitable for business gatherings of up to 30 people. Full contact information including a map showing the location of our office. 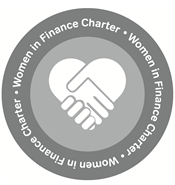 The BSA is proud to have signed up to the Women in Finance Charter.